With the support of our manpower and advanced technology, we are involved in providing Mechatronic Locks for Universal Applications. These are customized according to the specification of the clients, these locks are resistant to corrosion. The MLU3000s are our lock solution based on the RS485 bus system for a wide variety of enclosures, server cabinets and doors from various manufacturers. 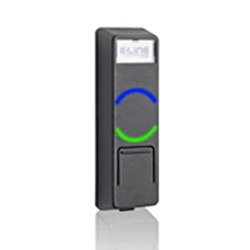 They are ideal for electronically expanding and managing an existing mechanical locking system in a room - or anywhere else where the MLR3000 does not fit. With MLU3000 Locks, you can conveniently secure a wide variety of server cabinets, and also doors or enclosures such as security cabinets and individual drawers.